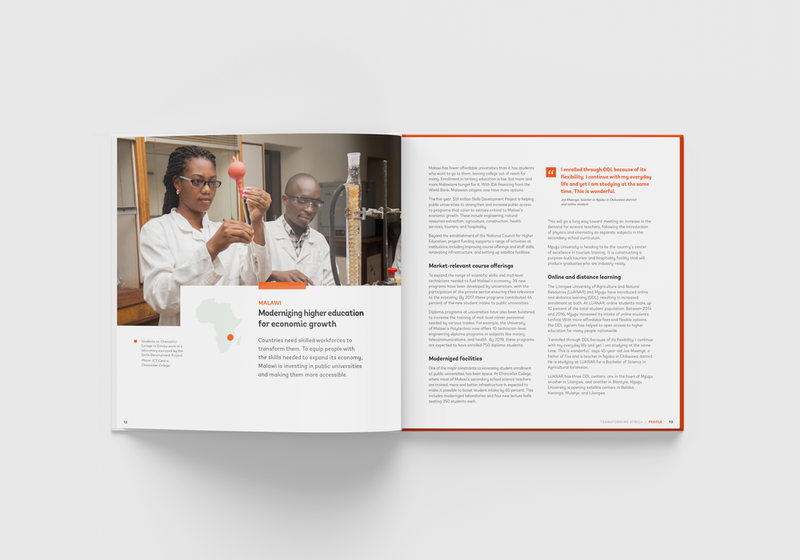 The World Bank came to us with a series of stories through their Africa Can program — stories of innovation in tech, medicine, agriculture, and infrastructure across the African continent in recent years. Our goal was to create the first of a series of volumes, a luxe coffee table book for a global audience that serves as a showcase of technology leadership. For Africa Transforming, we let the stories tell themselves. A total of 40 personal accounts divided evenly into three chapters: people, resources, and political will. 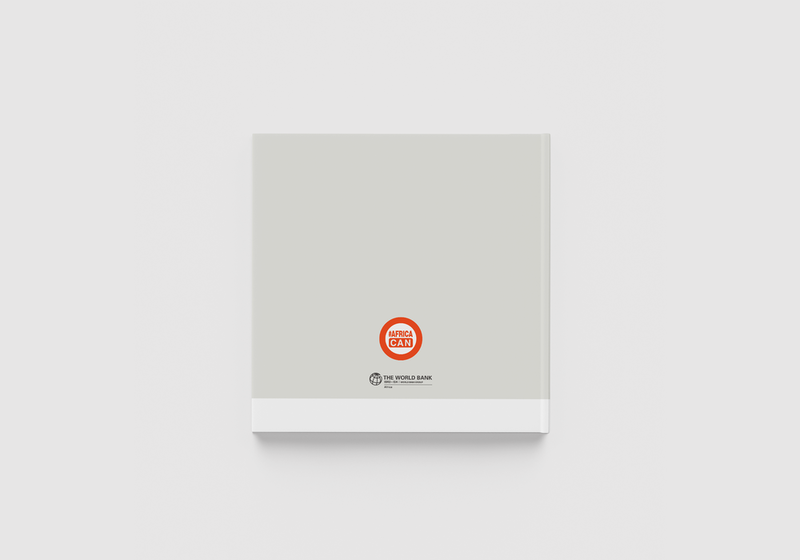 We highlighted quotes and provided context for all images, and integrated a system of wayfinding and categorization through the use of brand color. A stylized map in the table of contents allows readers to search stories either categorically or geographically. 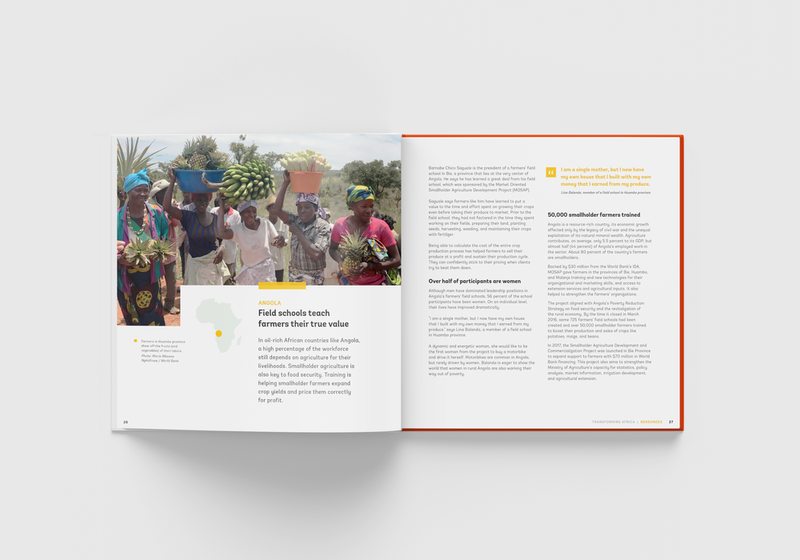 Africa Transforming Vol. 1 has been gifted and distributed worldwide throughout 2018. Additional volumes are in the works.